Did you know that the top two new years' resolutions are getting in shape and losing weight? Are these your top two goals for 2019? I was over weight for years and finally broke free from the vicious yo-yo dieting cycle that so many of us struggle with. This is why I'm so passionate about helping you achieve your health goals. It CAN be done!! Are you addicted to sugar? Are your efforts to eat healthy sabotaged by sugar cravings? Are you ready to do what it takes to kick the habit? If you've answered yes to these questions then join me to discuss what happens when we eat too much sugar, as well as talk about proven strategies to help break the sugar addiction. To RSVP or learn more contact me. With people eating today's Standard American Diet (SAD), poor gut function is very common. Just because digestive issues are common, however, does not make them normal. You've probably heard the term "leaky gut" but did you know that low energy, food intolerances, skin issues, joint pain, indigestion, auto-immune diseases, depression, anxiety, behavioural problems, and environmental allergies, are symptoms that can indicate a gut imbalance? Gut imbalance - what's the big deal? What are the primary contributors to poor gut health? What's the best diet for a healthy gut? What role do probiotics and probiotics have in gut health? Where do I start in re-building good gut function? Tickets are $20 and reservations are required. For more information or to register, click the link below. What happens when you start eating less sugar? Your energy, sleep and mood improve. Chronic problems such as joint pain, digestive issues, autoimmune disease, headaches, memory problems, brain fog, and skin conditions will get better or even disappear altogether. Are you addicted to sugar? Are your efforts to eat healthy sabotaged by sugar cravings? Are you ready to do what it takes to kick the habit? If you've answered yes to these questions then join me to discuss proven strategies to help you break your sugar addiction. Are you addicted to sugar? Are your efforts to eat healthy sabotaged by sugar cravings? Are you ready to do what it takes to kick the habit? If you've answered yes to these questions then join me to discuss proven strategies to help you break the sugar addiction. You really want to commit to your 2018 health goals but can't quite seem to stay on track. No worries...let's talk about it. Sign up for Wednesday's session in Bridgewater. You'll be glad you did!! Did your plans to stay on track during the holidays go off course? You are not alone! Don't be too hard on yourself, though. Just reboot! Join me to discuss what you need to know to set yourself up for success...for good. with Janice Amirault, R.H.N., Registered Holistic Nutritional Consultant. Are you addicted to sugar? Are your efforts to eat healthy sabotaged by sugar cravings? Are you ready to do what it takes to kick the habit? If you've answered yes to these questions then sign up for my health talk. Common symptoms of eating too much sugar include fatigue, sugar & carb cravings, joint pain, digestive issues, frequent colds/flu, anxiety, depression, excess weight, hypertension, and dental issues, to name a few. We'll discuss proven strategies to help you kick the sugar habit. Clean eating is about eating whole foods, or real foods - those that are unprocessed, unrefined, and as close to their natural form as possible. I define it as eating the way nature intended, or as close to that as we can get. 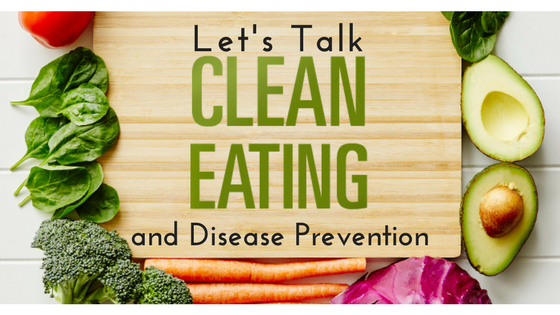 Whether you are vegan, vegetarian, or a meat eater who follows a paleo or ketogenetic diet, eating clean plays a large role in how your body performs. Eating a clean diet helps to build a stronger immune system, thereby helping to ward off illness and disease.